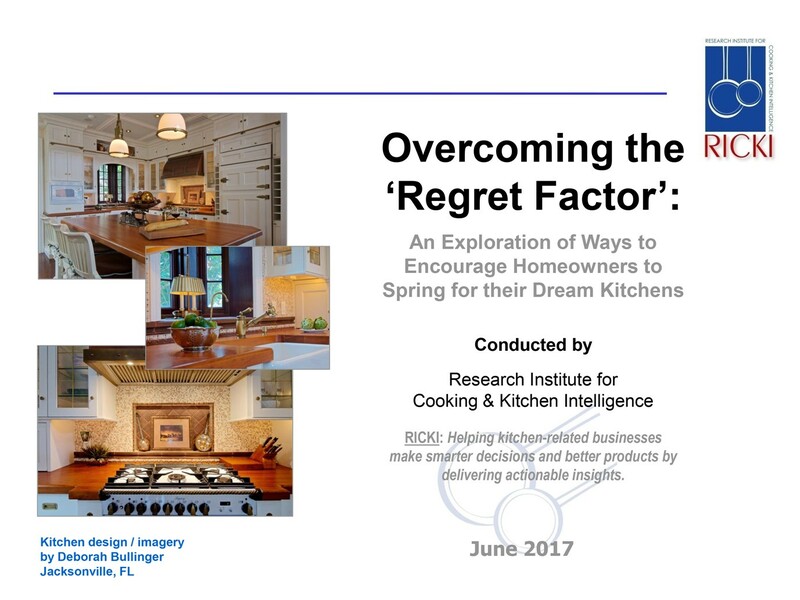 In previous research, RICKI has consistently found a sizable minority of people who made a kitchen improvement in the past year who sa they would spend more if they had to do it again. 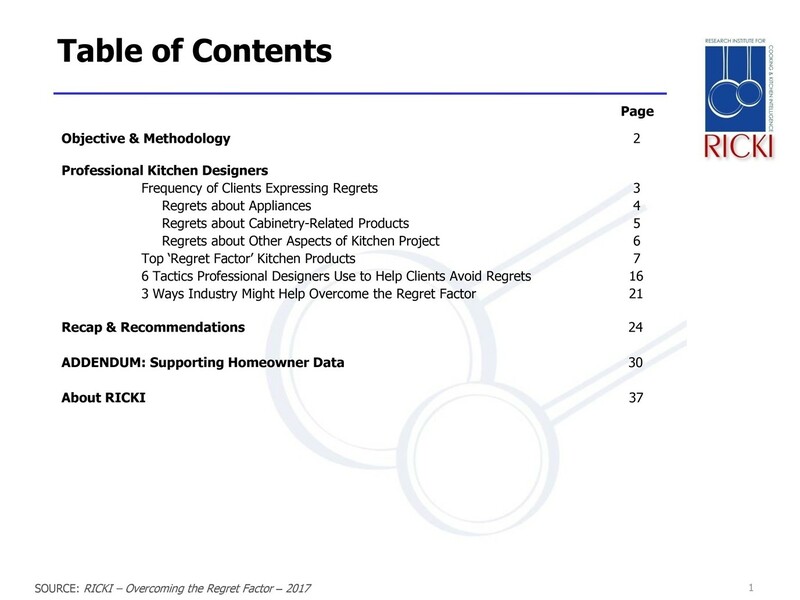 This current research is based on data from multiple sources (150 professional kitchen designers, 1,000 U.S homeowners and a subset of 20 homeowners whohad remodeled their kitchen in the past 12 months and regret at least one aspect of the final project. This report provides data about actional ways to address the 'regret factor'.